President of management consulting firm focused on the intermodal transportation industry. Customer base includes major financial institutions, steamship lines, leasing companies, legal firms, insurance companies, and equipment manufacturers. Recognized and respected independent expert in the intermodal equipment industry - dry vans, refrigerated containers, tanks, chassis. Previously managed Technical Services - container and chassis engineering, procurement, operations, maintenance & repair, equipment disposition - for Interpool / Seacastle / Trac Lease, Trac Intermodal, Inc. Currently providing technical training, new production and in-service quality assurance and FMCSA regulatory compliance for Trac Intermodal. Container/chassis testing and design, remanufacturing, warranty resolution, axle rebuilding, refurbishing, converting, rebuilding and retrofit; operations, and manufacturing; equipment inspection; helped develop the test specification and quality standards for 53’ steel domestic containers now standard in the USA rail industry. Participated in Department of Homeland Security (DHS) "Wargames" - NYC February 2005. Chairman and keynote speaker at numerous high-profile seminars on intermodal transportation industry and equipment. Manufacturer's representative for high-quality, high-value containers and chassis. Performed numerous tank, refrigerated, and dry-van container/chassis fair market and useful life projections, including distress and liquidation predictions. Fleet appraisal / useful life projects typically range from 25 to 200 million dollars present value. Negotiated & coordinated a joint-venture trailer manufacturing plant in Shanghai, China. Co-author - "Equipment Audits and Quality Assurance in the Intermodal Repair Depot". Intermodal container / chassis equipment expert – NY City Containerized Waste Management Valuation Project. Built a customer account / management control database for a major equipment sales force Conducted finite element analysis (FEA) with HLA Engineers (Dallas) to model container operation and predict structural failures. Similar work in developing the 53’ domestic chassis. Pioneered the development, installation, and operation of GPS-equipped container chassis including defining the business case and preparing reports for the U.S. D.O.T. (FHWA)Consulted with law firms on high-visibility litigation, arbitration, and mediation cases involving intermodal equipment Organizational restructuring; equipment specifications; quality audits; contract language; due diligence for corporate takeovers; litigation consultation; equipment management; tire and inventory programs. Advisor / instructor on graduate and undergraduate levels with Stevens Institute, the New Jersey Institute of Technology (NJIT), and Old Dominion University (ODU) in an advisory and instructional capacity on equipment design, management, logistics, and telecommunications projects. Vice President and Corporate Officer for a global leasing company with dry van, refrigerated, and special containers, container chassis, and heavy-duty material handling equipment. Responsible for long range strategic and business planning. Designed, specified, tested, purchased, operated, and retired the fleet. Managed pools, terminals, in-house and third party depots, and various subsidiary operations including a medium sized container manufacturer. 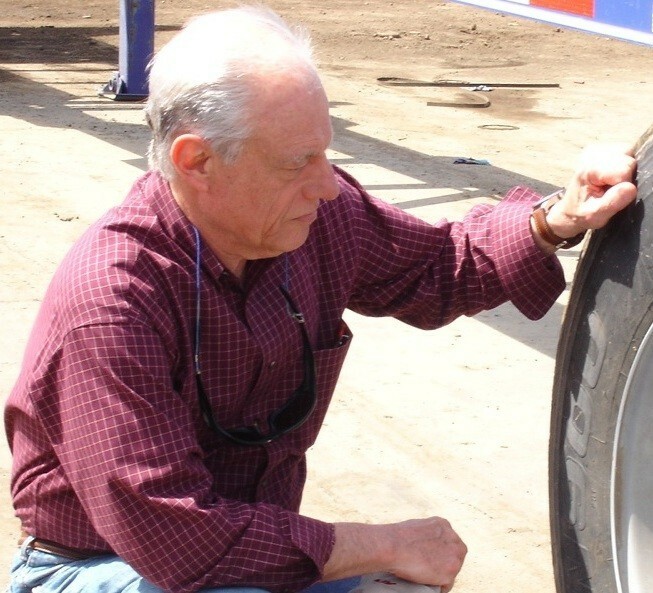 Developed cost effective tire programs. Actively participated in the evolution of industry-wide container and chassis inspection, repair, and maintenance guidelines. Director of Distribution/Transportation for then the country's fifth largest brewer. Built a unique materials management system that significantly reduced finished product. Effectively conducted numerous union contract negations. Wholesale and retail delivery, warehousing, long and short-range production planning, fleet acquisition/operation were prime responsibilities. Management consultant in physical distribution and transportation. Functions included warehouse layout and design work; transportation modeling/simulations; material handling equipment specifications; preparation of project summary presentations. Automotive Engineer: designing, specifying and purchasing containers, trucks, tractors, trailers, and material handling equipment. Supervised maintenance facilities and terminals. Pioneered early work in computerization for fleet maintenance, operations and cost controls. I am comfortable with all levels of management, acquainted with decision makers at many major leasing companies, financial institutions, ocean carriers, container, truck, and trailer manufacturers. Having traveled extensively, I am also familiar with many of the world's largest container, truck, trailer and chassis factories, terminals, depots, and service centers. My roots in containerization date to the early formative and growth years. Many container, chassis, paint and floor specifications now standard in the container industry date back to my innovations. I have published numerous papers and articles on technical and operating facets of the intermodal equipment industry. I have spoken at or chaired international conferences on technical and operating aspects of containerization. In 1995, I co-authored a book on Quality Control – applied ISO 9002 - in the Intermodal Container Depot. I have either written, or participated in the writing of many IICL manuals that have become industry standards in dry van and refrigerated container and container chassis inspection, repair, maintenance and operation. With a proven record of accomplishment, I am regarded as a leading independent expert in the intermodal transportation equipment field today. Holder, U.S. Coast Guard Operator's (Master) License - towing and sailing endorsements- and various sailing certifications; Newport-Bermuda and Marblehead-Halifax sailboat races.